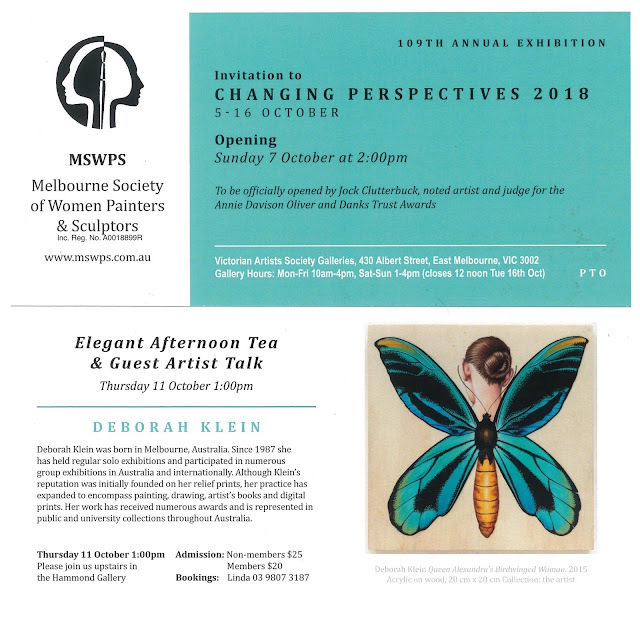 There’s lots coming up at the Melbourne Society of Women Painters and Sculptors, including their 109th annual show, CHANGING PERSPECTIVES 2018, opening on Sunday October 7. MSWPS has invited me to present an informal artist talk on Thursday, October 11 at 1 pm. 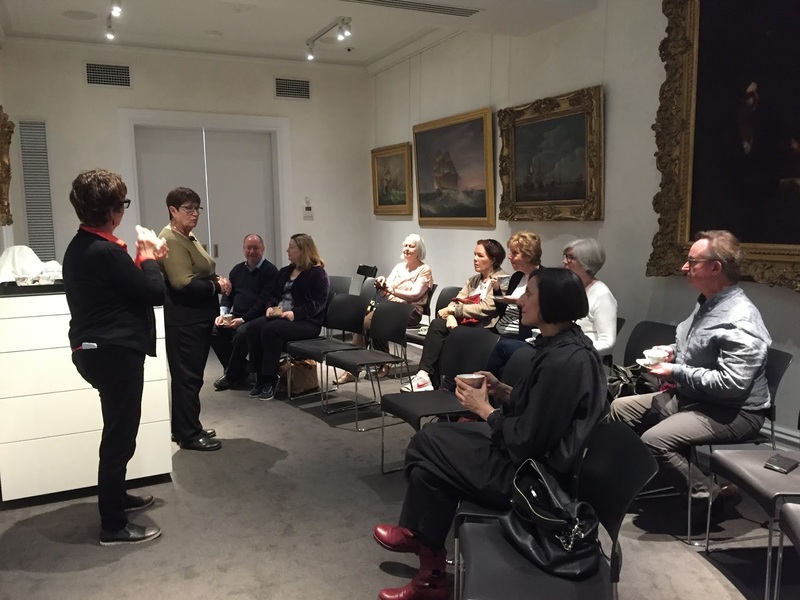 Join us for some lively art-related chat, accompanied by an elegant afternoon tea. For further details, see the above flyer. 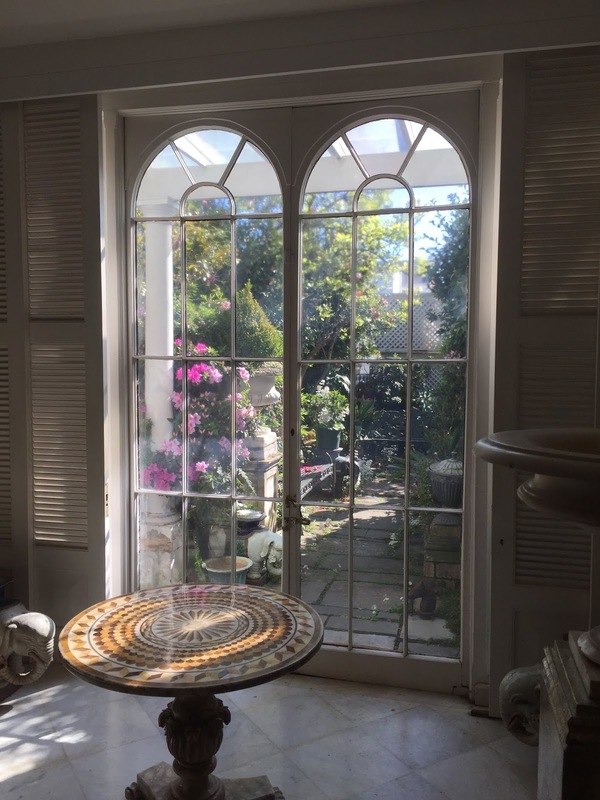 After being such a huge part of our lives, it’s still hard to believe that PATTERNS OF COLLECTING/From the Bower at The Johnston Collection is over. (See also previous post). 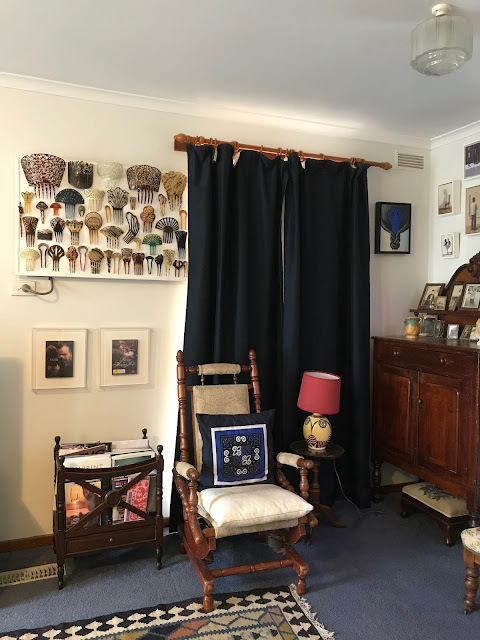 My collection of hair ornaments that featured in all three iterations of the four-person touring show (originally titled FROM THE BOWER: patterns of collecting), is now reinstalled in our Ballarat living room, where it disguises an unsightly air conditioning unit that wouldn’t be out of place in the Bates Motel. Second from the right is Blues in the Night (2006), one of my paintings that drew inspiration from the collection. The paintings centre left and far right are by Shane Jones. 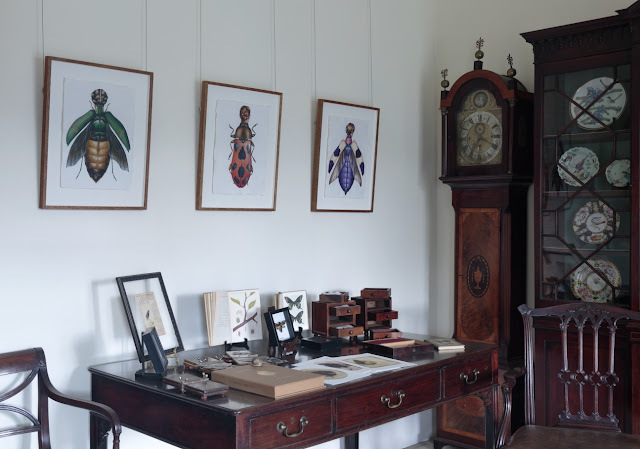 All good things must end and sadly, that time is nigh for PATTERNS OF COLLECTING/From the Bower at The Johnston Collection. The show comprises artworks and items from the 'bowers' of artists Louise Saxton, Loris Button, Carole Wilson and myself, juxtaposed with selected artworks and objects from the museum’s permanent collection. 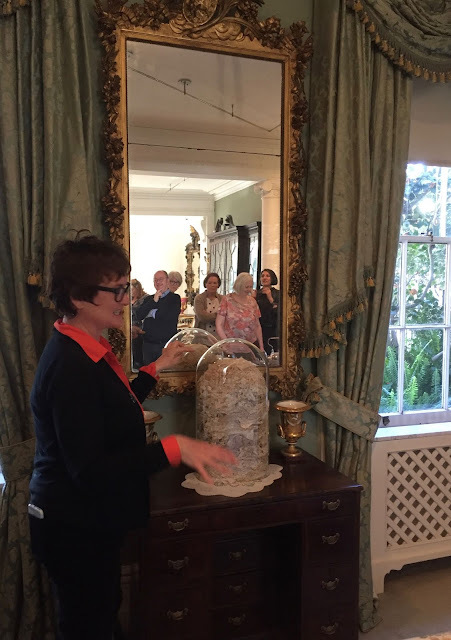 On a beautiful Spring morning last Thursday, 13 September, Louise Saxton, Johnston Collection tour guide Suzanne (pictured above, first and second from left) and I led a lovely group through the final walking tour. A distinctly different version of the show, originally titled FROM THE BOWER: Patterns of Collecting, debuted at Warrnambool Art Gallery in 2017 and travelled to the Art Gallery of Ballarat later that same year. Both were very well received - and there it was supposed to end. The Bower Artists are indebted to Louis Le Vaillant, Director and Curator of The Johnston Collection, who twice visited the show at Ballarat and subsequently invited us to exhibit there as part of the museum's innovative House of Ideas program. 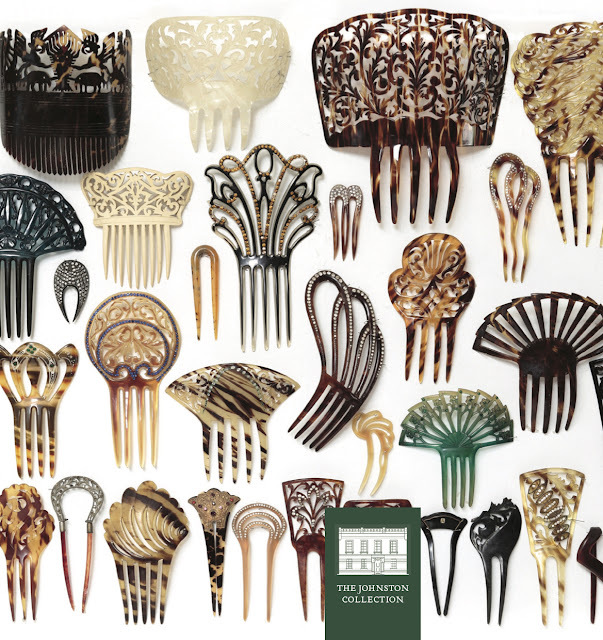 There’s still time to visit PATTERNS OF COLLECTING before it ends its long run tomorrow, Tuesday, 18 September. Bookings can be made HERE. Otherwise, you can take a virtual tour right here. 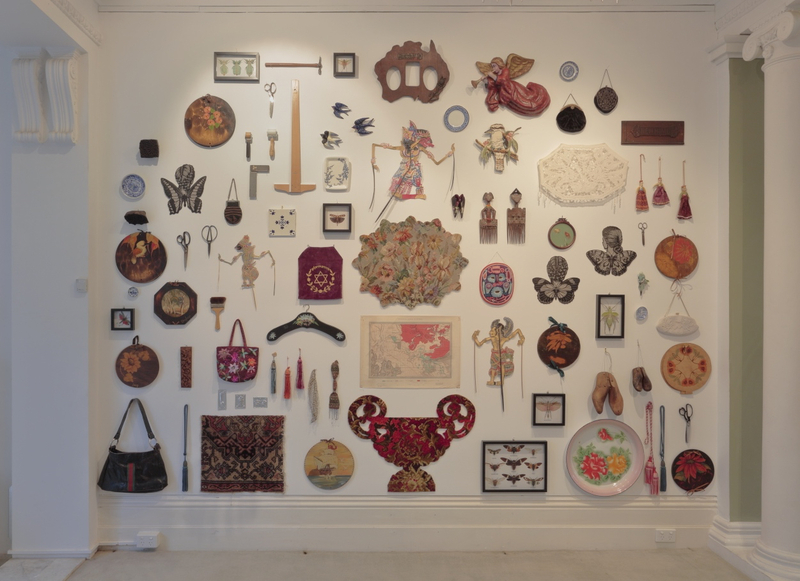 The following installation views are by Tim Gresham.